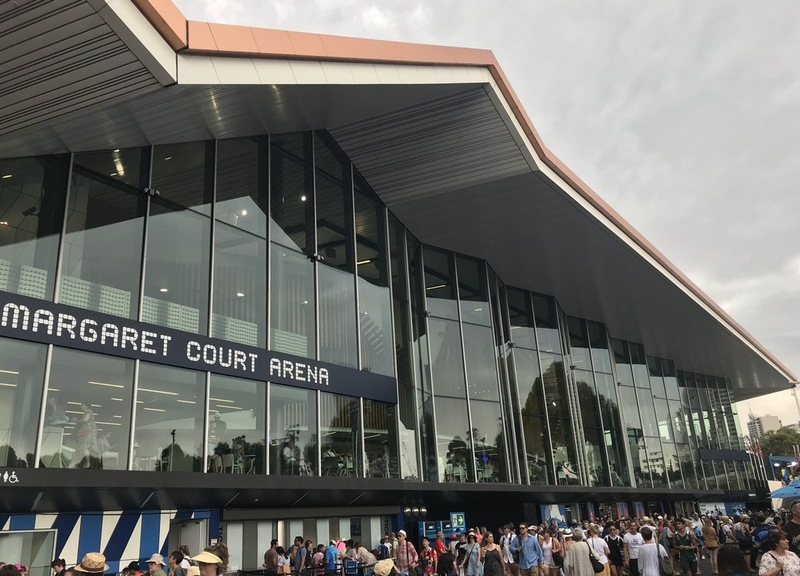 The Western Precinct Redevelopment is a major upgrade to the Margaret Court Arena, Melbourne, Australia, part of the AU$700 million Melbourne & Olympic Parks Masterplan, transforming the tennis venue into a multi-use arena capable of hosting a wide range of sporting and entertainment events. 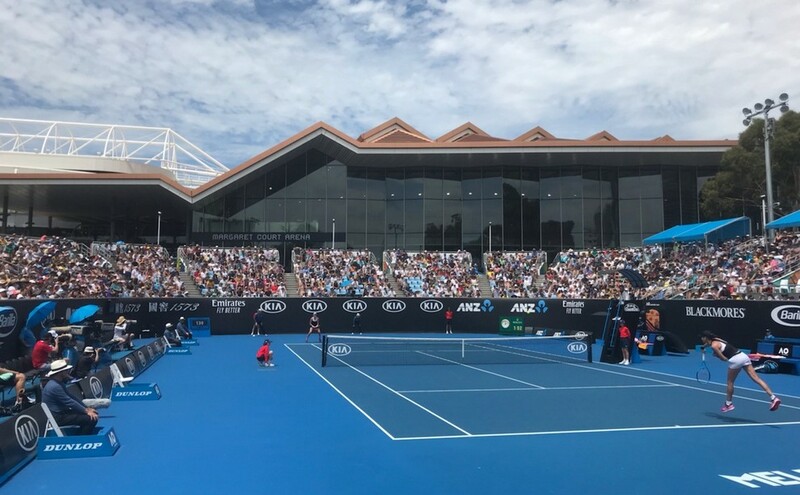 This AU$350M sports stadium precinct is part of the National Tennis Centre at Melbourne Park, in the Melbourne Sports and Entertainment Precinct. 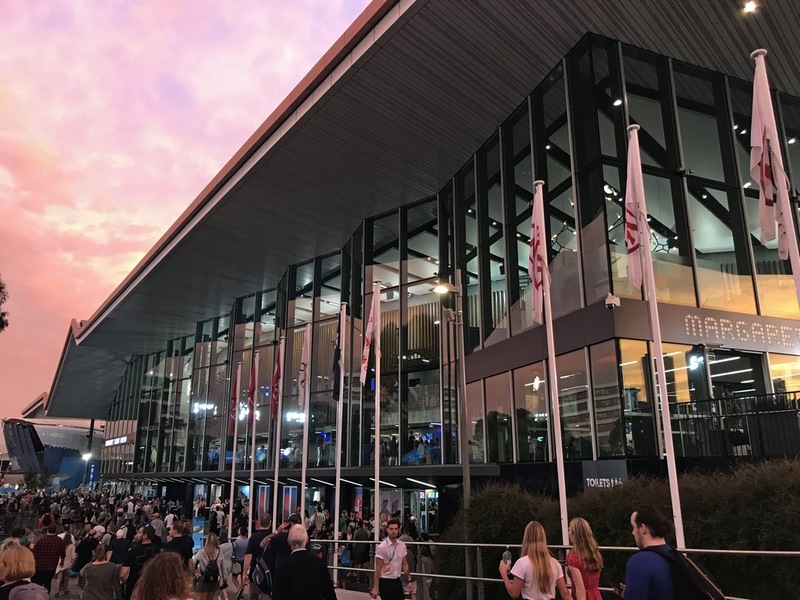 With the seating capacity increased from 6,000 of 7,500, the redeveloped arena features a state-of-the-art retractable copper-penny coloured roof – the fastest of its kind in the world, opening or closing in just five minutes. This is the third retractable roof at Melbourne Park. New enclosed concourse areas enjoy spectacular outlooks to the river, parks and the Melbourne city skyline. The façade consists of a high-transparency glass wall system with aluminium composite and vitreous enamel panels arranged into a feature pattern. There is also a new ticket booth and retail space on level 1. 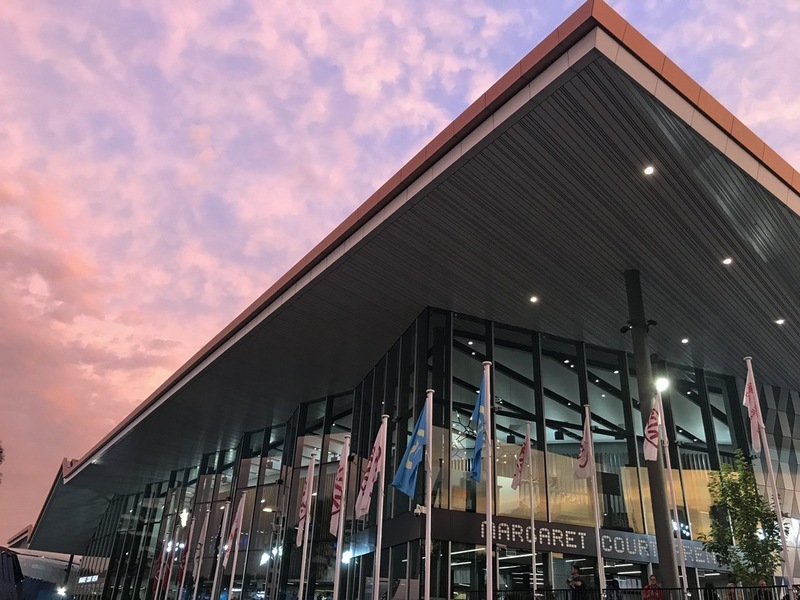 Margaret Court Arena was completed in 2014 and it won the Public Architecture Award (Alterations and Additions) at the 2015 Australian Institute of Architecture Victorian Awards and has been awarded LEED Gold Certification.